Christopher Wood's two novelizations of the James Bond films The Spy Who Loved Me and Moonraker are released today as eBooks by Ian Fleming Publications. This is the first reprinting of these books since their original releases in 1977 and 1979. They are available worldwide via Amazon, Sony and Kobo. Below are the awesome covers by David Eldridge (which nicely match the recently released eBook of John Pearson's 007 biography). If we could only get print editions with these covers! Almost all the James Bond continuation novels have now been released as eBooks. 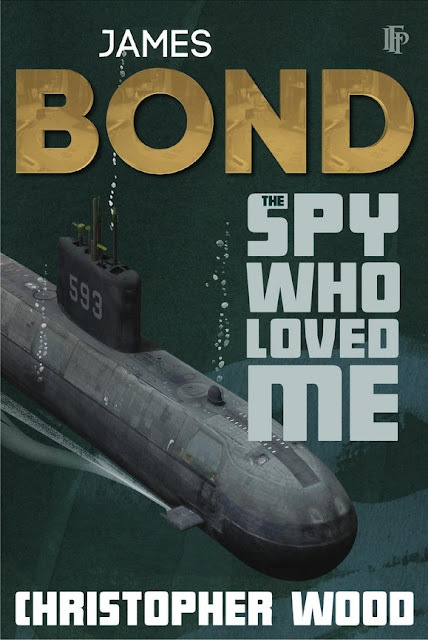 Vist our new page, Continuation eBooks, for links to all the post-Ian Fleming James Bond adventures! Thanks to Jason Whiton of SpyVibe for the tip off and IFP for the images. it really would be cool to see print editions with these covers! Strange : weren't the original titles " James Bond , The Spy Who Loved Me " and " James Bond and Moonraker " ? They're still using those titles on the inside. Just not clear on the covers. Cheers, John. Just bought it. Classic Bond, really nice to see the one of the final links with the real, IF lit Bond available "on the go". These covers don't really do it for me. I prefer their old print ones, especially Moonraker's. Nice! I, too, would really like to be able to buy physical copies of these covers. But I agree with Kevin: it's puzzling that they've changed the titles. 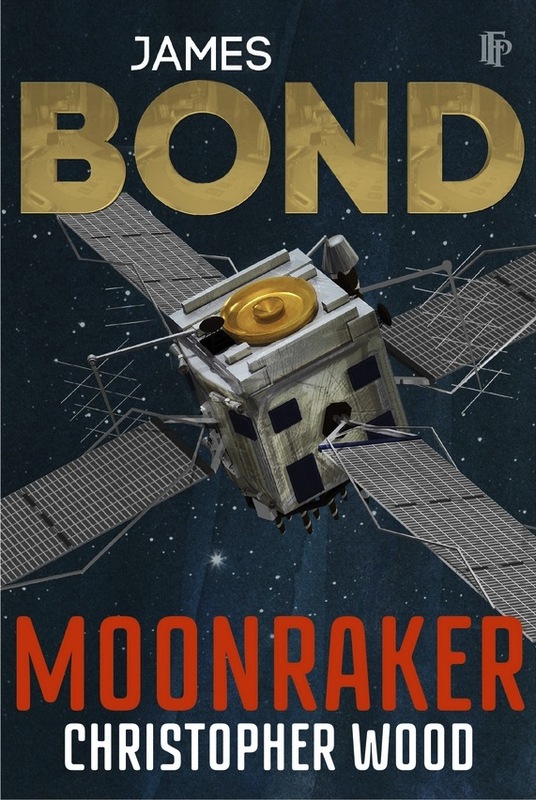 After all, we already have books called "Moonraker" and "The Spy Who Loved Me." It's odd that they'd changed them in such a way as to make them MORE confusing rather than less! The title pages "inside" have the original titles, it's just the covers that don't read that way. I like 'em. Especially SPY's. Great to have these available for anyone who wants to read them. A few years ago any kind of re-release of these seemed about as likely as, well, a re-release of the Gardners. What a great time it is for LitBond fans, who have either never read these continuations before, or haven't read them for a long time. Those involved with these things are doing a great job. Nice covers. Hope a publisher decides to print even a limited run of these one day soon. And then we can hope for another "Colonel Sun" in print too to round off the set of recent reprints. Fingers crossed ! I'd sure love to have all of these books that are now back in print as e-books--Pearson, Amis, Wood and Benson--in physical paperbacks that matched the Gardner spines. What a great shelf THAT would make! I really hope these come out in a physical format. I've been putting off buying a used copy for a while in the hope reprints are on their way. As with all ebooks, these are already freely available on a number of websites. Once the epub file has been downloaded they pop up all over the web. I encourage everyone to give this novel a try, I own the original paperbacks of both these novels and Wood does a great job recreating Fleming'z 007. They are probably the best continuation novels out there.